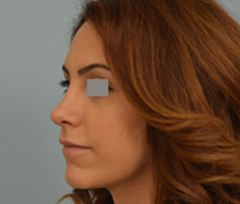 For revision rhinoplasty, a Los Angeles board certified plastic surgeon Dr. Vladimir Grigoryants offers advanced procedures to improve the shape of the nose. 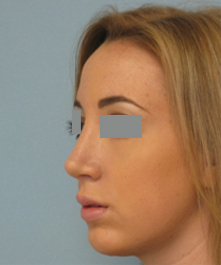 Many patients who turn to Dr. Grigoryants for revision rhinoplasty complain of a persistent hump, pinched or wide nose, crooked nose, and droopy or overly rotated nosed following trauma or previous rhinoplasties. 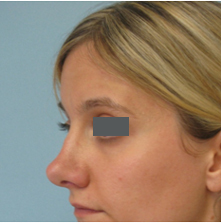 Revision rhinoplasty is one of Dr. Grigoryants’ specialties. 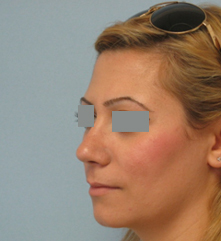 Dr. Grigoryants performs revision surgery not only to improve the shape of the nose but also to improve breathing. 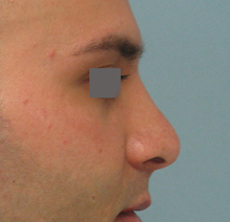 He performs most rhinoplasty procedures using an endonasal (closed) technique. 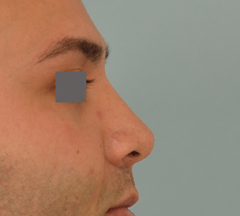 With this technique, Dr. Grigoryants places all incisions inside the nose. 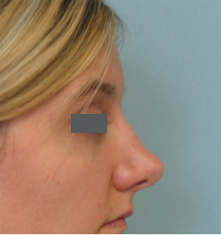 In some patients, however, open rhinoplasty would need to be performed to better reconstruct the nose. 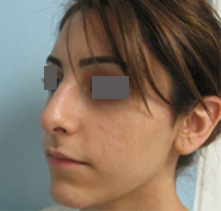 How soon after primary rhinoplasty, should revisions rhinoplasty be performed? 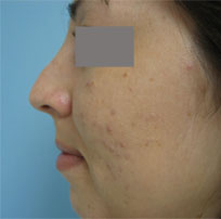 It is best to undergo revisoin rhinoplasty once most swelling after previous surgery is gone. 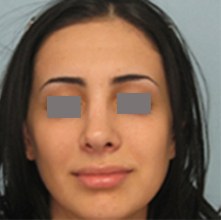 For most patients, Dr. Grigoryants prefers to wait at least 18 months before performing revisions rhinoplasty. 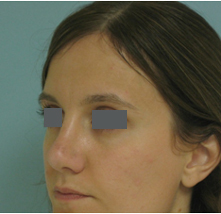 Even at 12 months, many patients still have swelling in the tip of the nose, which may feel hard to touch. 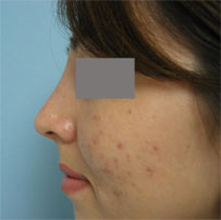 Patients with thick skin may have more and longer lasting swelling. 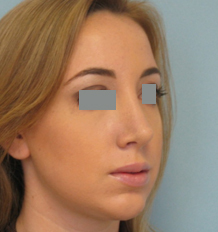 How can I prepaire for my rhinoplasty consultation? Will any grafts be used ? 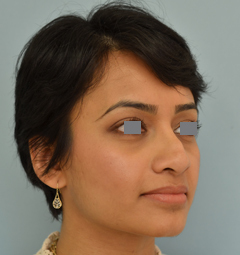 Revision rhinoplasty frequently requires cartilage grafting to reconstruct the nose depending on what was in previous rhinoplasty. Dr. Grigoryants uses patients’ own cartilage to rebuild the nose. He does not use any foreign material. The best source of cartilage is the nasal septum. If there in sufficient amount of nasal septum left, then an ear cartilage may need to be used for revision rhinopasty. 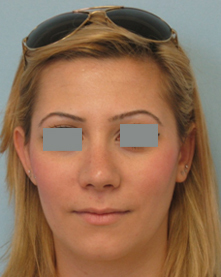 Dr. Grigoryants will discuss with your these options during your consultation. 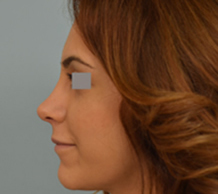 PatientsVisit our before and after photo gallery to view more rhinoplasty results performed by Dr. Grigoryants. 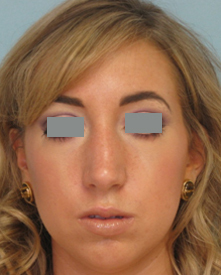 This patient underwent rhinoplasty elsewhere. She requested further refinement of the bridge and tip areas. 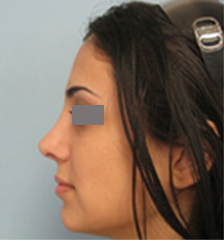 Closed rhinoplasty was performed to achieve these goals. 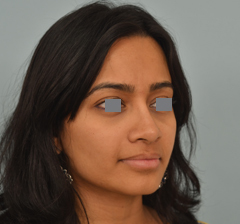 After photos were taken four years after surgery. 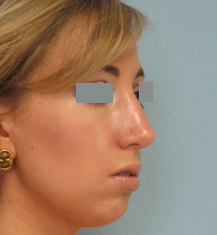 Rhinoplasty was performed elsewhere. 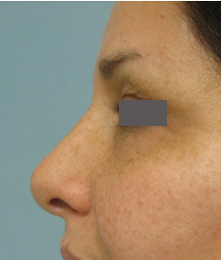 Revision rhinoplasty was performed to remove the remaining bump and lift the columella. 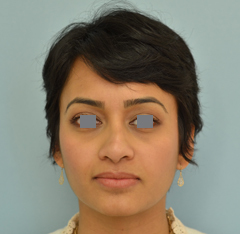 This patient had nasal deviation after a previous open rhinoplasty elsewhere. 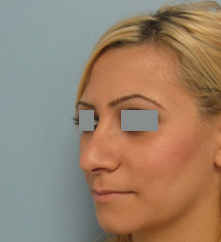 Closed rhinoplasty was performed to straighten the nose and improve tip definition. 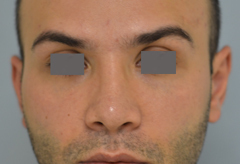 This patient underwent openrhinoplasty elsewhere. 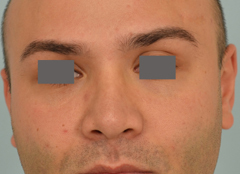 Crooked appearance of the nose was improved, the tip and dorsum were reshaped. General ethnic nasal features were preserved. 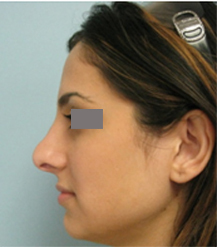 Open rhinoplasty. 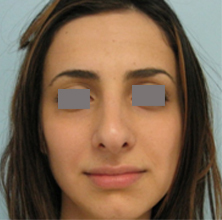 This patient underwent an open rhinoplasty elsewhere. She was displeased that her tip remained long and a small dorsal hump was present. 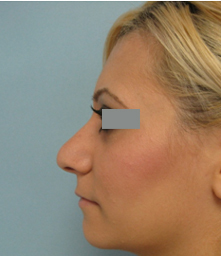 An open rhinoplasty was performed to shorthen the tip length, shorten nostril length, and reduce dorsal hump. 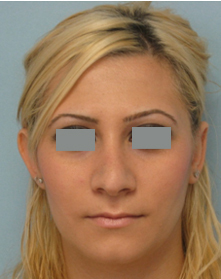 This patient underwent rhinoplasty elsewhere. 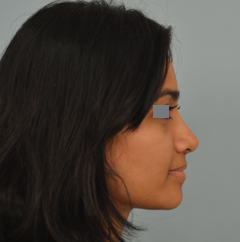 Closed septorhinoplasty was performed to open airways ang reshape the nose. 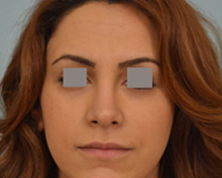 Chin augmentation was performed using a silicone picture at the same time. 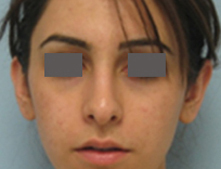 This patient underwent rhinoplasty elsewhere. 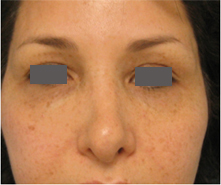 Crooked appearance of the nose was improved, the tip and dorsum were reshaped. 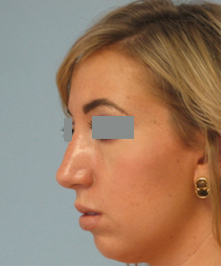 Closed rhinoplasty. 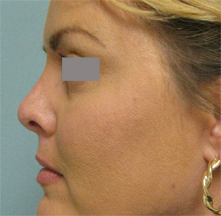 This patient underwent nose reshaping surgery elsewhere. She complained of a remaining hump. 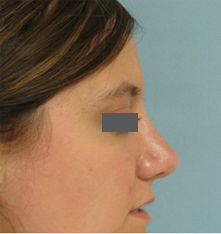 Endonasal revision rhinoplasty was performed to reshape the nasal dorsum. 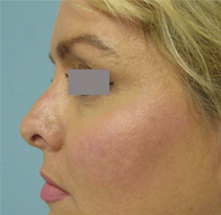 The patient underwent closed revision rhinoplasty after a previous surgery elsewhere. 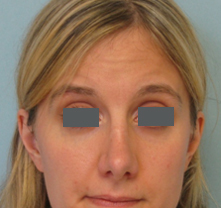 This after photo still shows mild deviation. 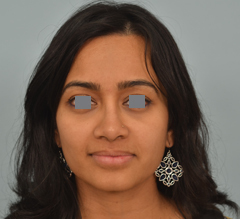 The photo was taken 1.8 years after surgery. 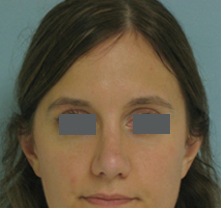 This after photo is taken about 3.5 years after surgery. 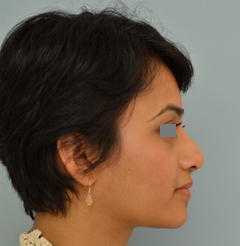 The nose looks much straighter as compared to before surgery and to the earlier after photo. 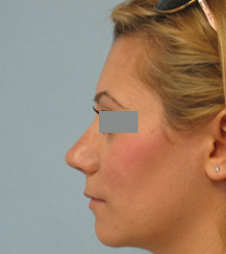 It illustrates that it takes years for the final shape to show especially after a revision rhinoplasty. 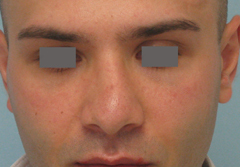 This patient underwent two open rhinoplasties elsewhere. She complained of a persistent dorsal hump, notched (retracted) nostrils, and a hanging columella. 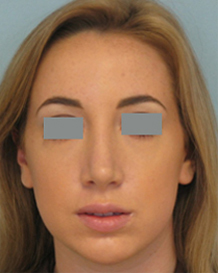 Closed revision rhinoplasty was performed. 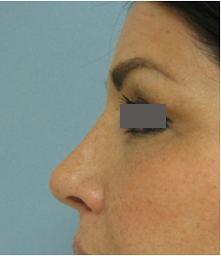 Nostril were lowered, tip was refined, columella brought up, and dorsal hump reduced. 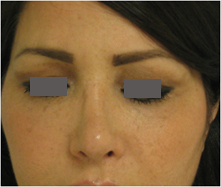 A lateral brow lift was performed at the same time.